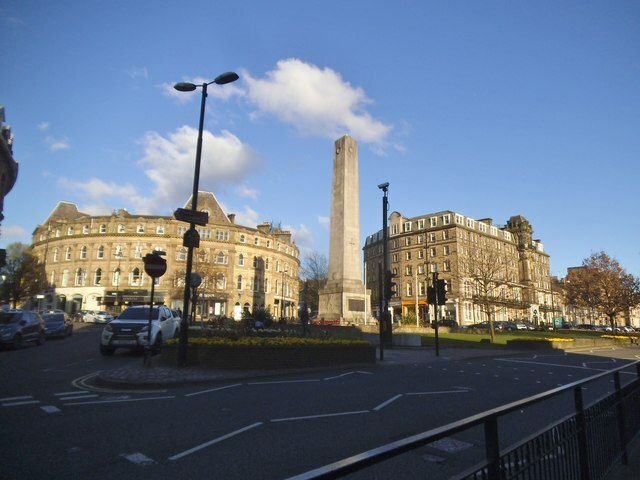 Which is the most ghastly modern building in the centre of Harrogate? Is it the dreadful pseudo Venetian Victoria Shopping Centre, or the awful sixties tower now known as The Exchange, just across the road? The Victoria Centre has those ridiculous figures around the edge of the roofline......Bill Bryson neatly describes it as 'the worst kind of pastiche architecture - a sort of Bath Crescent meets Crystal Palace with a roof by B&Q'. Sometime in the sixties, Harrogate decided to go all trendy by having its own tower block, originally with a small Tesco store on the ground floor [now Habitat]. At least the tower has now been given something of a makeover so that it doesn't look quite so horrible. Could someone do the town a favour and knock them both down please?